This amazing top list is dedicated to all things Pikachu -- the central character in the Pokemon anime series. As the mascot of Nintendo's successful media franchise, Pikachu appeared on everything from shirts, to lips and even airplanes. 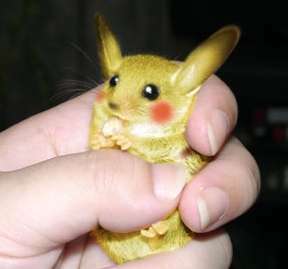 For a frantic yet cuddly little mouse, Pikachu appealed to a diverse and massive following, and is sometimes referred to as the Japanese response to Mickey Mouse. Implications - Taking pop culture icons and incorporating these designs into certain products is a great way to sell a commodity. In doing so, companies gain attention from consumers by using an element of familiarity. Taking a well-known symbol allows customers to recognize a product and pay attention to this design instead of disregarding it with a single glance.